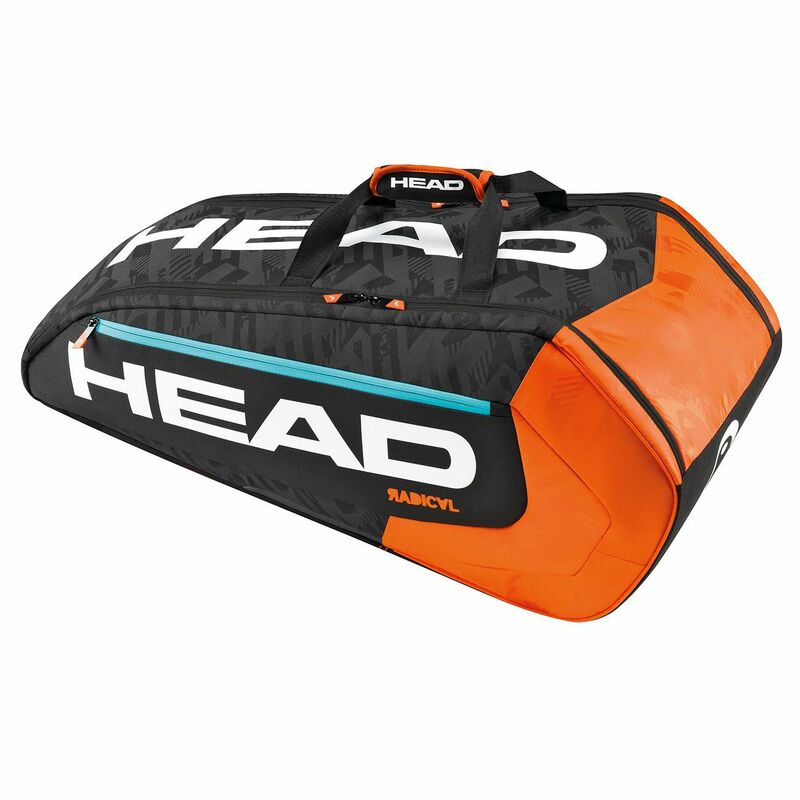 With the Head Murray Radical Supercombi 9 racket bag you can carry up to 9 rackets in the 2 main compartments and feel professional like Andy Murray who has put his name to it. This superb tennis and squash bag features excellent compartment design including 2 main compartments for your rackets, 2 inside mesh accessories pockets, and 1 outside accessory pocket. All that helps you keep your equipment, clothes and accessories conveniently stored and ensures everything is in its place. One of the main compartments features special CCT+ technology to protect rackets against extreme temperatures. With the backpack carry system you can comfortably wear your bag like a backpack or just carry it on your shoulder. I bought this bag to carry 3-4 rackets but the foiled racket compartment is only really designed for 2. It doesn't make much sense in terms if dimensions of each compartment...otherwise a well made bag. It was not clear from the illustration that most of the space is in one huge compartment with the temperature controlled racket holder bit being a very slim section on the side. However, the racket section is big enough to put my two rackets in and easy to get them in and out of that section. The bag is very lightweight and the large side pocket and mesh pocket in the large section make it easy to find your stuff. The large compartment is great for including coats (I am always leaving mine behind because it wouldn't fit in my previous bag! ), shoes and any other spare clothes, drinks etc required. Overall I am quite happy with my purchase. I hope it lasts as long as my last Head bag did. Excellent racket bag with space for a number of rackets and other gear. What I love about it is it can be carried like a holdall or it has straps to use as a rucksack. for submitting product review about Head Murray Radical Supercombi 9 Racket Bag.